So, I’m never going to be a food blogger, but I have been thinking a lot about how to get people to understand that eating well doesn’t have to be expensive or terribly time consuming. I think it is clear that cooking your own food is the best way to avoid the bad things in our diets. However, it requires more time and thought to do so, and we all get busy, tired or lazy at times. I’ve come up with ways to make it easier. I will just give you this entry as a series of ideas, and if more come to me, I’ll make it a regular feature. Not only is it fast, it lets vegetable keep much of their nutritional value. I take a regular cereal bowl, dump some fresh or frozen veggies in, put a plate on top and pop it in. 2-3 minutes for fresh, 4-5 for frozen. If your husband talked you into pizza, cut a slice in half, microwave some broccoli, onion and green pepper, drop it on the pizza. Half the calories, twice the nutrition and yummy. Bake a sweet potato in the microwave. More fiber and vitamins than a white potato, one can usually feed 2-3 people, takes only 5 minutes and retains more moisture. Eggs take only 25-30 seconds in the microwave. You have to watch them. Coat a bowl with spray oil, crack an egg in and cook on high. You can cook corn meal, which is what Polenta is, easily in the microwave. I cook a cup of water on high for a minute, add 1/4 c. of corn meal, a dash of salt, microwave on high one minute, stir, cook and stir like that until it is the consistency you like. Put the aforementioned egg on top, salsa and/ or cheese and you have a 5 minute lunch. You want a really sweet treat, that’s healthier? Peel a banana, cut in half length wise. Put in a bowl or plate, cut side up. Arrange chocolate chips and mini marshmallows down each side. Microwave just till the chips melt and the ‘mallows puff up. It makes the banana sooo much sweeter, it’s almost too much. Make your own yogurt. I got a yogurt maker for Christmas, and it says to bring the milk to a boil for thicker yogurt. It is so much easier to do so in the microwave. No scorching, and as long as you keep an eye on it, no boiling over. About 10 minutes for a quart of milk. These are just my microwave thoughts. Next I’ll do an article on some super quick dinner ideas. After that, some ways to make the healthiest choices easier. Well, It Wasn’t the Earth Moving. No, it was the scale. 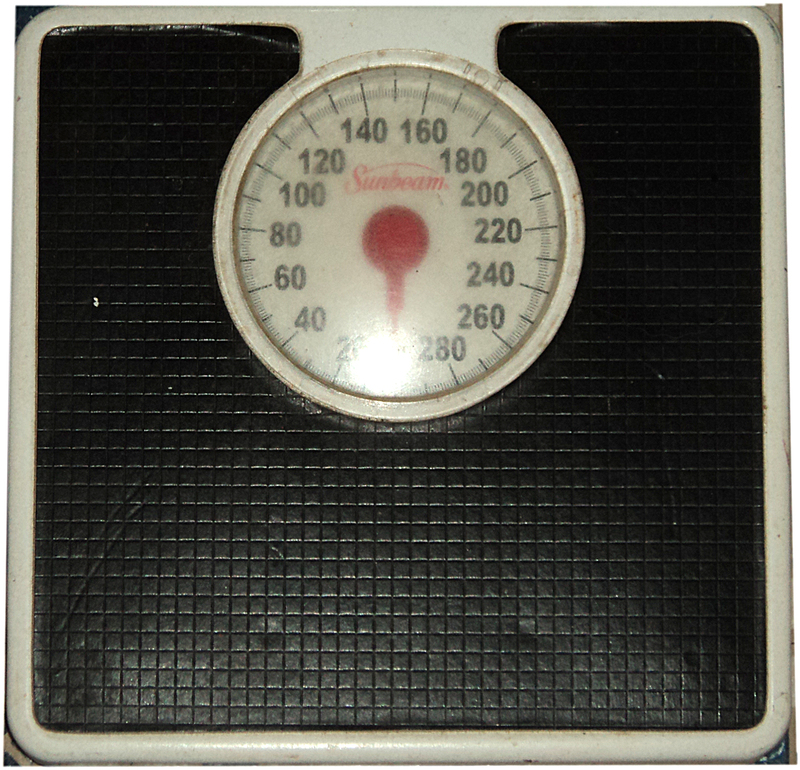 I have to admit, in the modern age, I have an old fashioned dial scale. It is hard to see any small changes. It has to go beyond a pound for any difference to show up. If I were serious about weight loss, I would either get a digital scale, or one similar to the doctors office. In that case, even small amounts are victories. In other news, McDonalds got caught with their chickens in their pants. No. Seriously, they got caught using terrible factory farms for their eggs. Is anyone really surprised? They immediately dropped their current suppliers. There are plenty of other ones for them to choose from until they get caught again. In other, other news. I went skating yesterday for the first time in *30* years. EEEK. I’m old. In any case, we had a lot of fun, and reason number 462 for all this massive exercise I do, in spite of doing something I hadn’t done in 30 years, I had decent balance, didn’t fall and it wasn’t taxing. To top it off, most everyone there had had their AARP card for at least 20 years, and they were the fittest bunch I’ve seen in a long time. No fat thighs in that group. Of course, they all felt sorry for me having to use “rink skates”. They brought their own. Exercise is the closest thing to a fountain of youth we’ll have find.